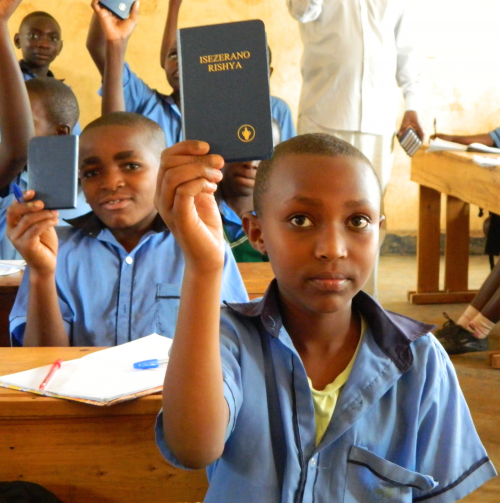 This February, Gideons in Rwanda’s capital city of Kigali were joined by Gideons from the USA and Australia. For one week they journeyed into the remote reaches of Rwanda to place copies of God’s Word into the hands of tens of thousands of people. Rwanda has a history of ethnic conflict. Gideons teamed up to provide Scriptures and to extend the Gospel’s message of hope, love, and forgiveness to those still trying to find healing from the scars of that conflict. Local Gideons spent months planning for the event and were very well organized. Few Rwandans own automobiles, but with God all things are possible. By the day the blitz began, all the necessary transportation was in place. 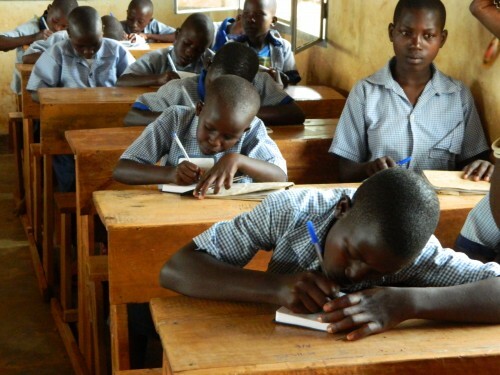 Rwanda is called the “Land of a thousand hills.” And as the Gideons left out from Kigali, they began the journey up the hills into remote areas. Four-wheel drive vehicles packed with Scriptures trekked up rough mountain roads. Gideons were taking God’s Word to the uttermost. Those roads led to schools filled with students, many of whom had never owned their own New Testament–or any other book for that matter. School headmasters and students alike rejoiced at the sight of Gideons walking in the door with brand new copies of God’s Word. At some schools, it had been many years since Gideons had distributed Scriptures in their classrooms. In other schools, it was the first time ever Gideons visited. And at all of the schools, Gideons were warmly welcomed, with schoolmasters telling them these distributions were God’s answer to prayer. 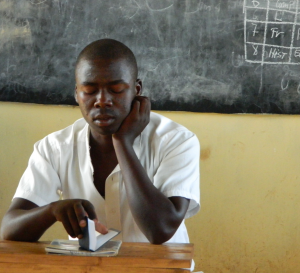 Gideons were overwhelmed by the gratitude shown to them by the students. On many occasions students would approach the Gideons at the end of the distribution and thank them for their service and for bringing God’s Word. As Gideons drove to one of the Scripture distributions, they were stopped by police. The officers walked around the vehicle which was stacked high with boxes of New Testaments. Gideons explained they were participating in a ministry event. The police inspected the boxes. Finally, one of the officers gave orders to the Gideons–“Go spread God’s Word.” Moments later, they were back on the road. In addition to the schools, Gideons were able to share Scriptures at universities, jails, and hospitals. 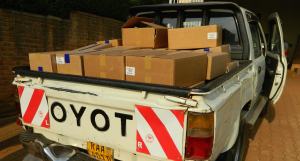 By the end of the one-week blitz, they had distributed over 75,000 Scriptures, passing their goal of 70,000 Scriptures. The international Gideons were thoroughly impressed by the local Gideons’ passion for the ministry. “Every day, the local Gideons came and participated in the blitz. They love this ministry. It was truly a blessing to work alongside these men and their wives,” said International Vice President, and blitz team leader, David Martin. Gideons held church services at five large inner city churches, with congregations ranging from 400 to 1,000 people. The pastors and church leaders were most supportive as evidenced by the generous offerings which totaled $750 (USD), which is roughly the per capita income in Rwanda. More than 350 Gideons, pastors, and other guests attended the Pastors Appreciation Banquet held by Gideons Friday evening. “It was truly an evening of celebration with the local pastors as we rejoiced together in the work God has called us to as partners in the Gospel,” said Mr. Martin. We thank the Gideons who participated in this blitz as well as the pastors and other supporters whose prayers and financial gifts helped make it possible. We give God the glory for all we believe He will accomplish as a result of this blitz. Please pray the Scriptures distributed into the hands of the men, women, boys, and girls of Rwanda will be read and many would find healing from the pain of the past as they accept Jesus as their Lord and Savior. What a privilege to partner with our loving God in this ministry! Next post: What Happens To All Those Scriptures?